Knock Knock came to us with a vision that we developed together: functional and beautiful filing folders! 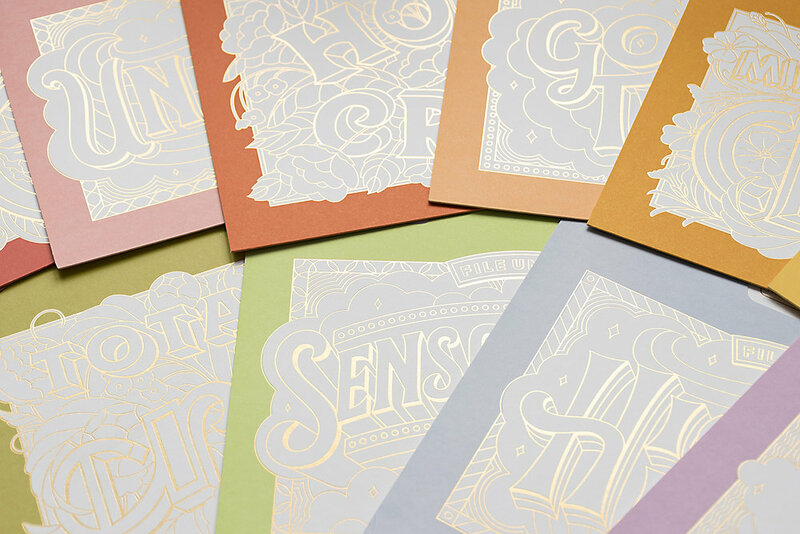 These two colorful sets of folders, “File Under: Fantastic” and “Pretty Crappy” are stamped with gold foil, and look great whether or not you color in (or outside) the lines. Pictured with the only colored pencils that we will color with: Louise Fili’s Tutti Frutti Pencils.